Following inter-Korean talks, an announcement was made Wednesday night regarding a joint cultural event at Kumgangsan in North Korea, raising speculations about the performance, its venue and also the possibility that it may mark the resumption of cultural exchanges between the two countries. According to the Unification Ministry on Wednesday, South and North Korea agreed to hold a cultural event at Kumgangsan around late January or early February. Details of the program will be decided through discussions, as well as a field visit by the ministry to performance facilities at the Kumgangsan tourist complex scheduled between Jan. 23 and 25, said Vice Unification Minister Chun Hae-sung, the South’s chief delegate to Wednesday’s talks. The size of the South Korean performance group to visit the North and the program for the cultural event will be decided at future meetings, Chun added. “The ministry is currently going over past precedents,” Chun said. “The event could comprise various performances, including a joint musical performance and a literary event like a poetry recital,” Chun added, suggesting the event could comprise different types of performances. The likelihood of the Korean Symphony Orchestra performing in the North appears high, as the orchestra’s CEO Lee Won-choul and artistic director Chong Chi-yong joined working-level talks held Monday. If the event consists of different performances, the government may consider the Korean Symphony Orchestra for the event, as it performs for ballet and opera productions in addition to regular concerts. The orchestra currently performs with the National Opera, National Ballet and National Choir. Major cultural figures who have visited North Korea include the acclaimed conductor Chung Myung-whun, who visited the North in September 2011 to rehearse with North Korea’s State Symphony Orchestra and the Unhasu Orchestra, as part of an attempt to promote cross-border cultural exchanges. The plan was to hold joint performances by the Unhasu Orchestra and the Seoul Philharmonic Orchestra, where Chung was the music director at the time, in Pyongyang and Seoul. 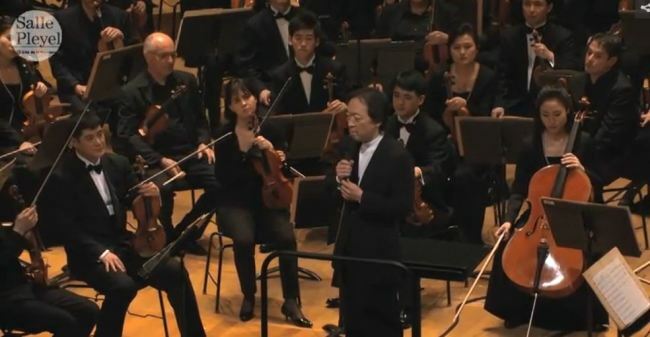 However, that project failed to materialize, and Chung had to be content with bringing members of the Unhasu Orchestra to Paris to perform with the Radio France Philharmonic Orchestra in March 2012. In the early 2000s, when inter-Korean relations were better, K-pop singers performed in the North. K-pop groups like Sechs Kies and Fin.K.L performed in Pyongyang in 1999, while Baby Vox and Shinhwa performed there in 2003. The KBS Symphony Orchestra performed in Pyongyang in 2002 with South Korean rock singer Yoon Do-hyun and trot singer Lee Mi-ja. South Korean veteran singer Cho Yong-pil also organized a concert, where the North Korean audience sung “Arirang” along with the singer.